Warm up the kitchen with this delicious combination of cheese, zucchini and peppers. This recipe is sure to be a dinner favorite! Sauté onion and zucchini in butter in skillet until tender, about five minutes; season with salt and pepper and stir in flour. Cool. 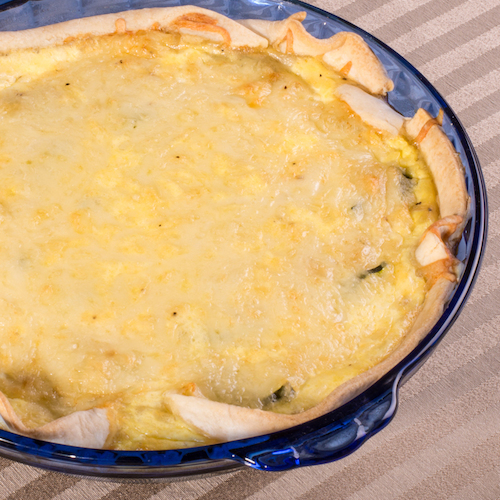 Toss with cheese and arrange in bottom of crust. Mix eggs and half & half; pour into crust. Bake at 350° F until pie is browned and set, 40-45 minutes.